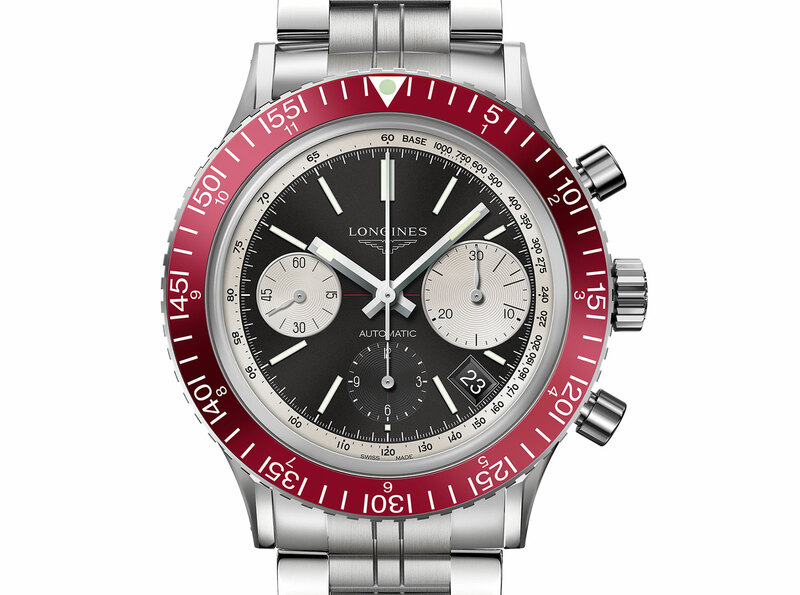 Just introduced at Baselworld 2015, the Heritage Diver 1967 is another well executed vintage inspired sports watch from Longines, this time modelled on the sixties “skin-diver” chronograph equipped with the 30CH and a distinctive red bezel. 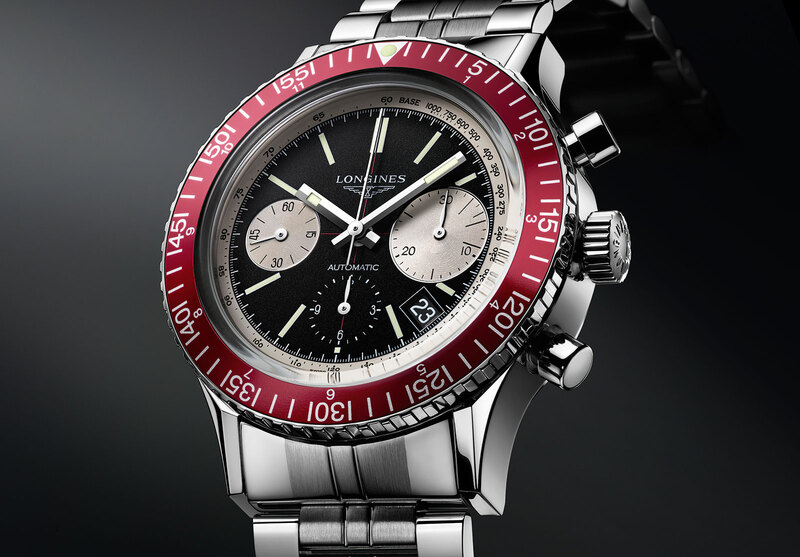 Longines is steadily going through every decade of its archives for inspiration (last year saw the introduction of a seventies diver remake). Modelled on the sixties “skin-diver” ref. 7981 chronograph, the Heritage Diver 1967 is a good remake of the original, right down to the retro-style bracelet that could pass for something from Gay Frères – with the addition of some modern conveniences like automatic winding and a date. 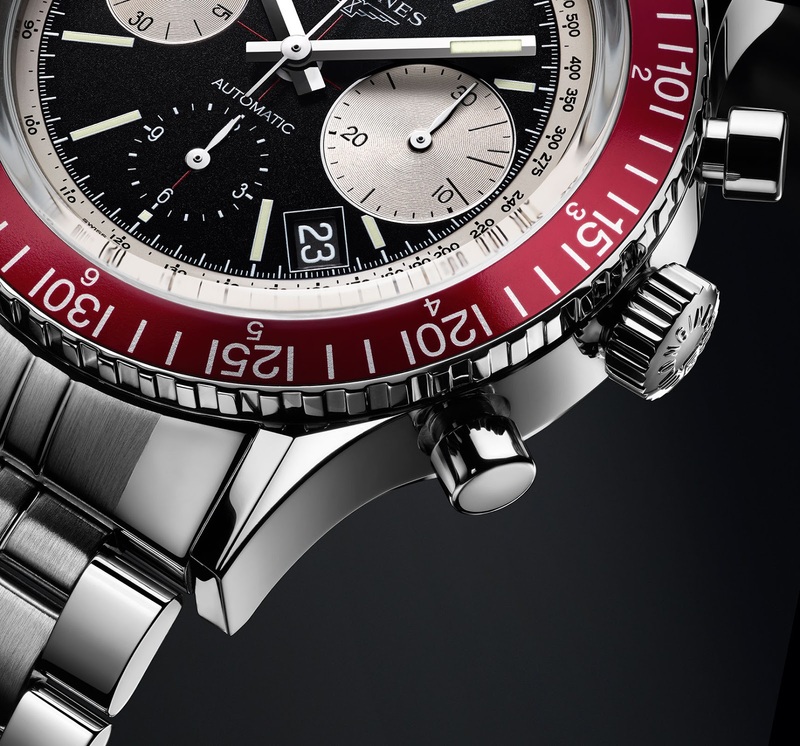 The Heritage Diver 1967 has a 42 mm steel case (the original was 40 mm), but retains the distinctive red aluminium bezel. Curiously, the bezel has two functions: an elapsed time bezel for diving (marked “5” to “55”) and a second time zone feature (“1” to “11”). 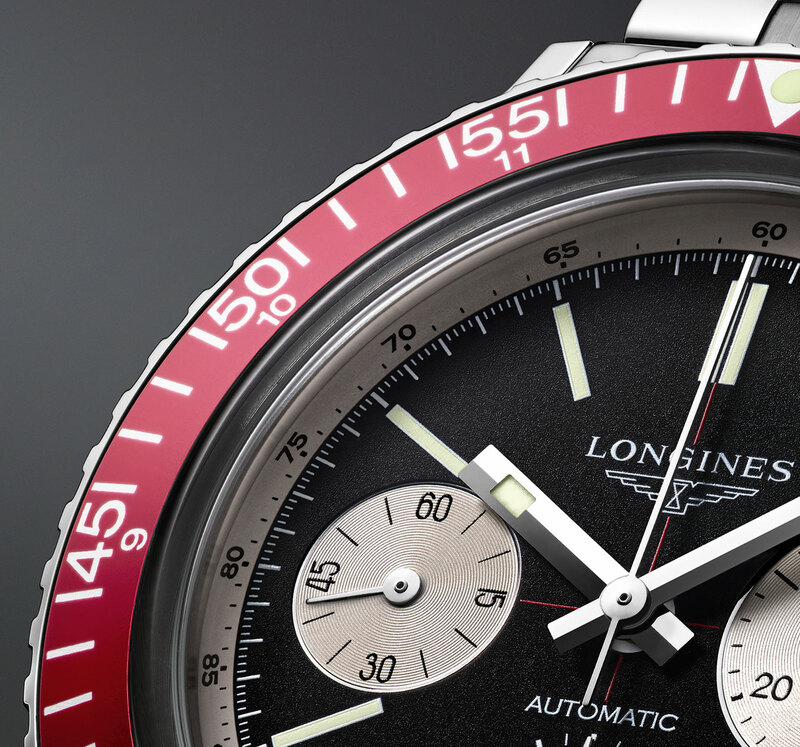 And an inner tachymeter scale on the edge of the dial allows for the calculation of speed over one kilometre. Together these scales make this a diver’s, pilot’s and driver’s chronograph. As is typical for Longines chronographs, the movement inside is the L688.2, an automatic chronograph calibre that’s actually an ETA Valgranges movement, basically an upgraded version of the Valjoux 7750 series movement. It has a 54 hour power reserve, as well as a 12 hour register at six o’clock, while the original skin-diver chronograph only had chronograph seconds and minutes. And as is habitual for Longines, this reissue has a date window in between four and five, something none of the vintage originals ever had. But with its position and black date disc, it is less obtrusive than on some other Longines remakes, like on the Heritage 1935 for instance. The Heritage Diver 1967 is rated to 300 m and is available on a steel bracelet, rubber or alligator strap. It will cost 4770 Singapore dollars or US$3100.